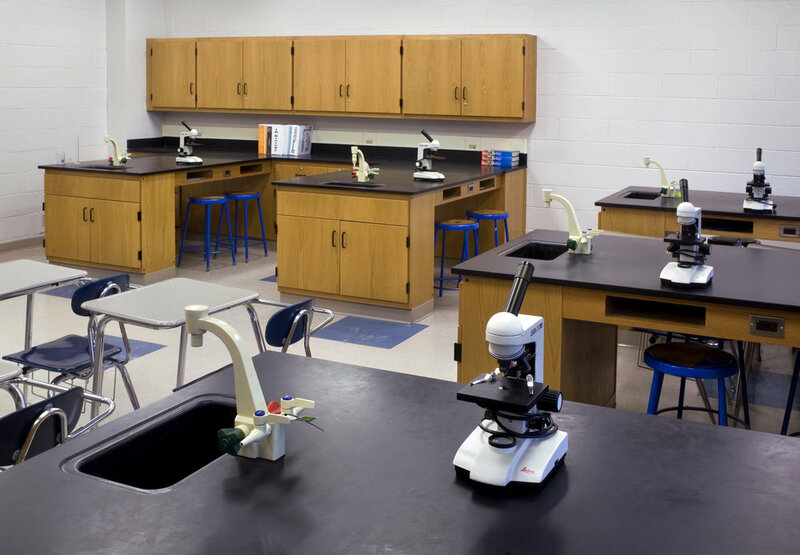 The Shore Regional High School Board of Education hired Settembrino Architects to completely renovate and redesign a biology, chemistry and physics science lab. The new state-of-the-art design included new lab casework, workstations with water and gas and a new suspended ceiling with energy efficient indirect lighting. Also included was new VCT flooring to complement the existing school colors, new properly vented fume hoods with prep room access and more efficiently redesigned prep rooms. Although each lab measured slightly over 1,000 square feet each, the creative layout incorporated both a separate lab and lecture area.